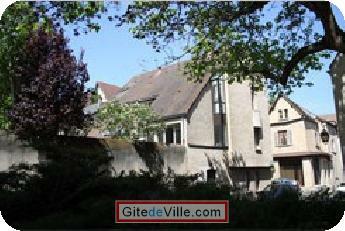 Vacation Rentals - Holiday Rental ads in the city of Chartres in France for Tourism. Bed and Breakfast of 23 m² in Chartres for 2 peoples. Bed and Breakfast in all the year rental. Danielle CLAIR welcomes you in her guest house located in the historical center of Chartres 200m from the cathedral and the tourist office, facing the collegiate church of Saint André (cultural center), at the edge of the Eure. Your IP adress is 3.90.12.112, it will be archive 12 months with this request. The fench law "Informatique et Liberté" from 06/01/1978 allows you to acces, modify and delete the yours datas. Please contact us by the contact form for any request. Last Ads update : 10/25/2016. Owner of an urban accomodation or B&B to rent in Chartres ?